One thing is certain: when markets are hot, some buyers lose their cool. 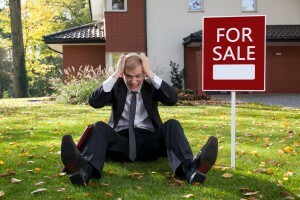 Unfortunately, some buyers are now scrambling to get into the market, particularly in Sydney and Melbourne, because they presumed that prices would soften and now have a very bad case of FOMO (Fear Of Missing Out!). While there may be some moderation in price growth in some markets this year, buyers rushing to get into a hot market usually just make a plethora of unhelpful mistakes along the way. Over my years in the property investment sector I’ve seen buyers in a hot market make the same mistakes over and over again, so to help you escape the same fate, I’ve pulled together their top five blunders. Here’s the thing: a major factor in property price growth is emotion. You see…owner-occupiers generally pay more than investors because they are buying their homes with their heart rather than their head. 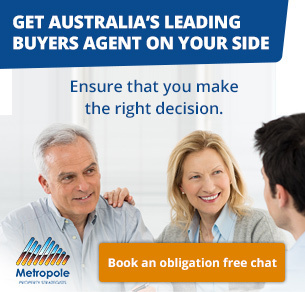 When faced with a hot market like we have in Melbourne and Sydney at the moment, some people who should be buying without emotion get scared that they’re going to “miss out” and ignore their budget – and their commonsense! In other words, they end up overpaying for a property because their decision-making is based on fear and not solid research, which they’ve benignly thrown out of the car window on the way to the auction. Emotional buyers also wind up buying properties in secondary locationsbecause they believe that a rising tide lifts all ships and figure that any old property – even an inferior one – is better than nothing. Of course the markets don’t work that way – a scendary property will always be a secondary property. For every “have” in a hot market, there are many more “have nots” who decide that they understand the market better than the experts and choose to wait for the “inevitable” market correction. But the problem with this strategy is that it is highly unlikely that investment grade properties in our capital cities will undergo a major correction. Rather, they will continue to increase in price because there is more demand than supply for this type of property, which will leave those waiting on the sidelines worse off than when they started. Emotional buying is where auctions come into their own, of course, because the competitive environment serves to pit one buyer against another. But the same is true for a hot property market. Strategic investors and professional buyers’ agents always buy without emotion, including at auction, but a rising market can result in too many people making snap decisions under pressure, which is ultimately to their financial detriment. While it is folly to wait for a market to soften before buying, it’s equally irrational to expect a bargain while still snagging a solid investment property. 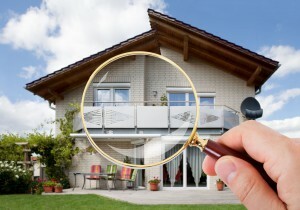 Investment grade properties are always in demand so you’ll never find them at fire-sale prices. Let me be clear: you make your money when you buy your property by purchasing the right property – not by purchasing it cheaply. Too many buyers – in all markets – believe that the selling agent is working for them. 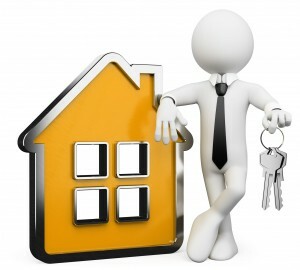 The fact is sales agents work for the seller and have a legal obligation to secure the best price for their client. Of course you can always level the playing field by having a buyers’ agent on your side working for you and not the seller. In a hot market it’s a fact that there is more competition but that doesn’t mean buyers should be desperate to buy any old property. The key is to not get discouraged if you miss out – instead just keep looking. To improve your chances, consider having a professional negotiator on your side and don’t bother making lowball offers that will get you nowhere fast. The best negotiating tactic you can use is the one that secures you the property that you want – not one where you use supposedly smart tactics but end up losing out. Not only is it important to make an offer quickly, but it’s even more important to make a good, strong offer, because in a seller’s market there’s no time for what I call “low-ball” offers. You should also be prepared to buy quickly when you find the right property by having your finance and ownership structures in place and your research completed. You may also want to consider using a buyers’ agent to locate off-market opportunities. The key is to be quick, but not to hurry. Buying property, whether it’s your home or an investment, is a long-term decision with significant consequences if you don’t get it right. On the other hand, owing well located real estate has turned many ordinary Australian’s into millionaires when they did get it right. 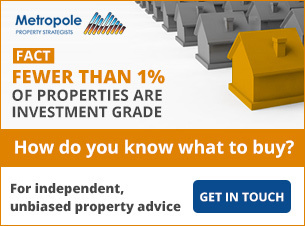 So, the lesson from all of this is – if you want to invest successfully in any type of property market, you must always follow a proven strategy, buy with your head, and leave your emotions at the front door of the very first open for inspection. Are you going to take advantage of the property markets in 2017 or are you going to get caught by the traps ahead?